The popular Smith & Wesson� SW22� Victory� pistol can easily be improved by removing the magazine safety feature, allowing the firearm to fire even without a magazine. But while the firearm can function by simply removing the factory magazine disconnect bar, doing so can reduce the power of magazine ejection - a problem for competition shooters who need to change magazines quickly. 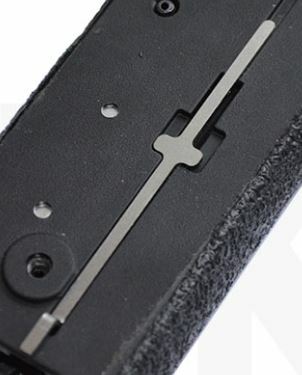 The new TANDEMKROSS Magazine Disconnect Replacement for SW22� Victory� is a simple, drop-in replacement part for the factory magazine disconnect bar. The durable, stainless steel part simply drops into the gun�s frame in place of the magazine safety and allows for the safe removal of the magazine safety while maintaining a strong magazine ejection.